I was born in Santa Barbara, (California), and raised in Seattle Washington). I have subsequently lived in California, Illinois and Minnesota before moving out to my wife's country of origin, Japan. 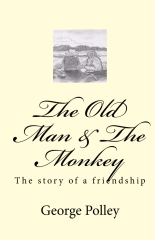 George Polley's 'Grandfather' stories are fables capable of teaching children - and not a few adults - about the value of appreciating all living creatures, of the wisdom of being open-minded enough to seek solutions in unlikely places, of the rewards of working systematically towards your dreams, of the futility of bullying and aggression, and of the reassurance of a loving and harmonious environment in a world which tips all too often towards the arbitrary destruction of war. 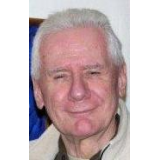 As ever, George Polley recounts these near-legends in a voice which lulls and beguiles, and above all nudges us towards a kinder and more spiritual approach to the world around us. I began writing grandfather stories the day I encountered a group of high school boys at a local supermarket where my wife and I were doing some shopping. One of the young men had an attitude because I was seated where he wanted to sit, and from that came the story about the Young Wolves. The story cycle about the raven began the day a big raven flew over my head, cawing loudly. There are few louder and more insistent sounds than a raven's loud “Kaaaaa”, especially when it's right over your head. The minute I got back to our condo, I sat down at my computer and wrote a story about the incident. I thought it would be the only one. The raven had other ideas. I've ended up with twenty-one stories about him. Like all ravens and crows that I've met, he is pesky, sometimes annoying, and comes around whenever he wants, invading my space and occupying my time. So be forewarned: there will likely be more Raven stories to come; but this is all for now. "Speaking as a parent, it is always a delight when something I would regard as more wholesome than constant Japanese-based cartoon battling succeeds in entrancing my children as well. 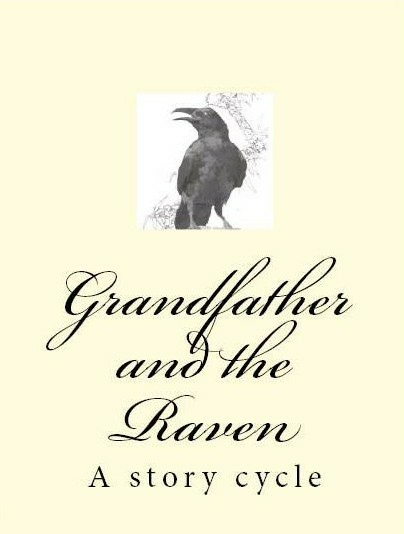 George Polley's Grandfather and The Raven...are suffused with a gentle knowingness and humour, accompanied by a sharp disapproval of unprovoked violence (violent dogs, violent people, war). There is also a cannily and wryly portrayed running description of the relationship between the old man and his wife which serves to add welcome dabs of wasabi to the concoction. These tales are both freely flowing and naturally quirky. and clearly not targeted at a neatly-defined market segment nor containing artificial story-enhancer additives." — Tim Roux, author of ‘The Dance of the Pheasodile’ and ‘Missio’, and Managing Editor of Night Publishing.